We produce and edit our own full video productions, but we also work with other video production companies on their projects. 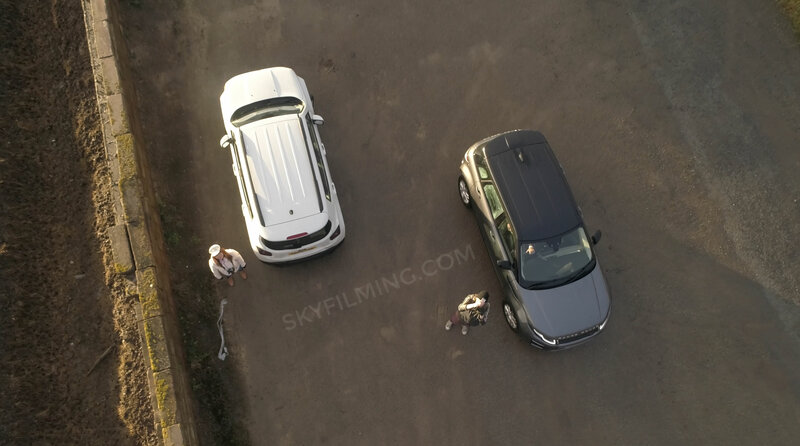 More often than not another video production company will hire us to get some drone shots or drone aerial filming to use alongside their own video clips, though we have worked as regular B roll camera for the BBC before and other projects. 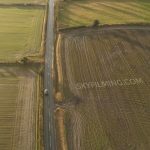 In this case a Scarborough based filming company that we’ve worked with before, Ambient Cinema, were shooting a corporate promotional film about a company near Easingwold in North Yorkshire. 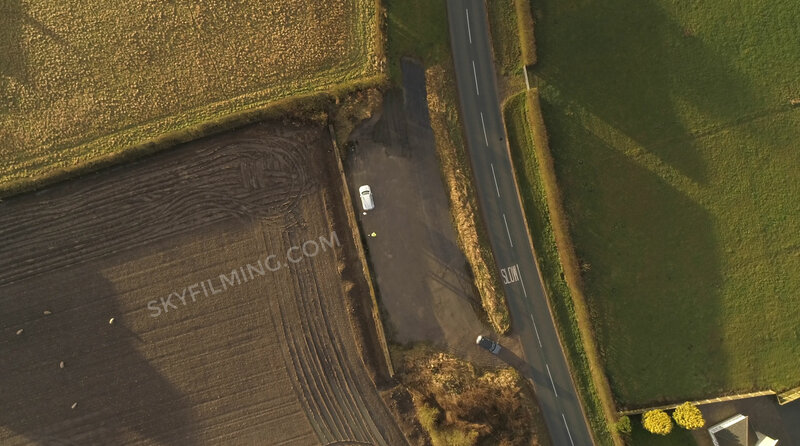 Pretty much last minute, the DP decided it would be pretty nice to get an aerial shot with a drone of the boss in his car driving down a country lane near Crayke to use as an opening shot. We’d chosen a time that was near to sunset, both for the light and because it was supposed to be raining the rest of the day. 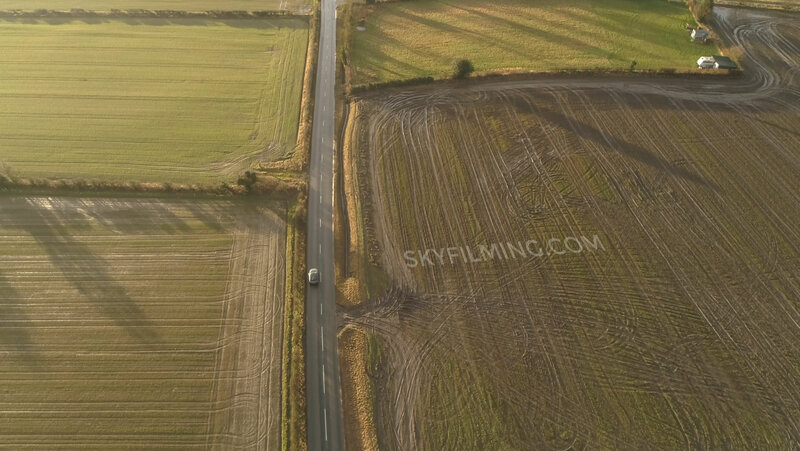 We can fly our drones and film in the rain, but that wasn’t the shot we were after, so it was a little worrying that it had been pouring with rain all day and was still raining during the journey there. 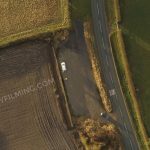 We all met up at the The Durham Ox pub in Crayke, where they we shooting a scene eating a meal, then after this drove out to a peaceful road in the countryside. We did a first run following the car when it was still raining a bit, but it was mainly dull and cloudy. 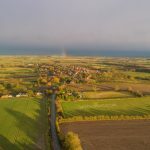 Still, we persevered with a second run, and then on the third run the clouds drew back and the sun came out to reveal a glorious countryside scene! It felt quite miraculous at the time but, to be fair, the DP had chosen that time specifically because the reports said the sun would come out about then. 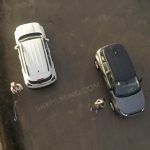 Anyway, we got a beautiful continuous take, following the car from behind and above while slowing panning up into the sunshine. Job done! 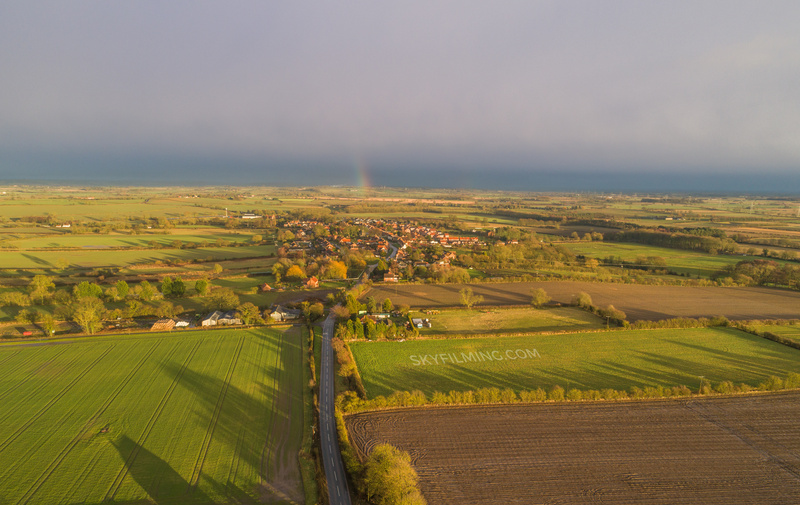 Below are 3 screen shots from one of the drone video clips, and one lovely aerial photograph of Stillington with the remnants of a rainbow hanging above the village.